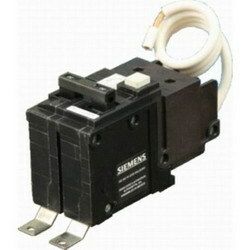 Detailed Description: Siemens BF 2-Pole Molded case circuit breaker features a thermal magnetic over current protection system with panel board mounting. It is a ground fault type of circuit breaker with a trip sensitivity of 5 milli-Amps. It has a non-interchangeable trip molded case with toggle switch and can accommodate aluminum/copper wire of size of 14 - 10 AWG. It has an interrupting rating of 10 kilo-Amps. The circuit breaker is designed with a bolt-on connection and a terminal load lug. It has voltage rating of 120/240 Volts at a frequency of 60 Hz. 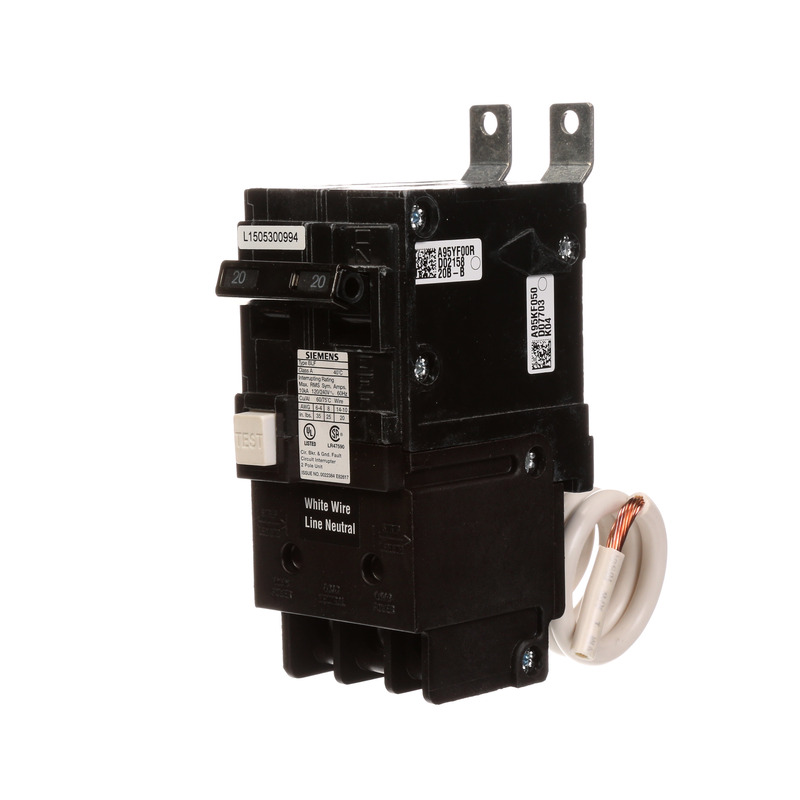 It has current rating of 20 Amps at an operating temperature of 40 deg C. Circuit breaker is UL listed/CSA certified.